On Sunday, April 14th the Monterosa Ski winter season will come to an end, but here you can keep skiing! The skiing season will not be over yet! 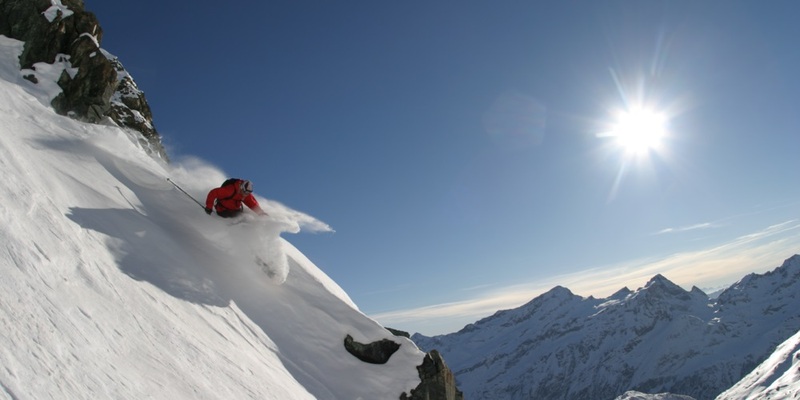 Lifts from Stafal and Alagna will be open from April 19th to 28th: you can reach Indren glacier and enjoy the amazing Monterosa Freeride Paradise. From April 29th to May 5th lifts from Stafal to Punta Indren will be open for the spring schedule. This year lifts in Alagna won’t be open for the spring schedule: we will be working on the revision of the lift from Alagna to Pianalunga. We’re sorry for the inconvenience but we’re sure you will enjoy the spring skiing anyway. – Funifor Passo dei Salati-Punta Indren from 8.30am to 3.30pm (last ride from Stafal to Indren at 3pm – last run from Stafal to Alagna at 3.30pm). – Funifor Pianalunga-Passo dei Salati from 8.15am to 4.00pm (last race from Alagna to Indren at 3.00pm – last race from Alagna to Stafal and 3.30pm – last trip from Pianalunga to Stafal at 3.45pm). The cost of the daily skipass is of € 43,00 weekdays and € 45,00 festive (or € 45,00 weekdays and € 47,00 festive for the skipass that includes the access to the lift Funifor Passo dei Salati-Punta Indren). Then, in order to allow an easier access to the Monte Rosa and to its huts, on April 29th and 30th and again on May 2nd and 3rd there will be a daily uplift from both Stafal to Punta Indren at 3.00pm and a downlift from Indren to Stafal at the same time. The cost of the return ticket Stafal-Indren valid one day is of € 35,00 and of € 40,00 for the return ticket with validity on different days.